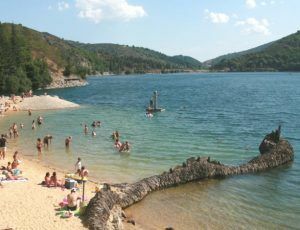 Lake Villefort in the Cévennes: Campsite "the Palhère"
The campsite La Palhere is ideally located in Villefort in the Cévennes in Lozère. 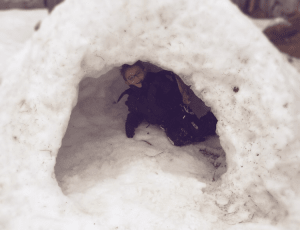 In all seasons leisure activities are offered. Nature, relaxation, thrills, sensations and discoveries are waiting for you! 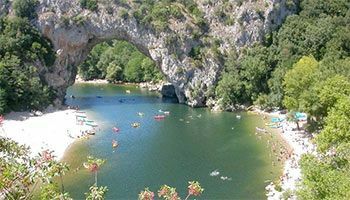 The Cevennes lake stretches its 137 ha of limpid water in the middle of the mountains ideal for all the pleasures of water: fishing, sandy beach, supervised swimming in summer and a nautical base that offers many activities: canoeing , windsurfing, jet skiing, pedal boats, …. 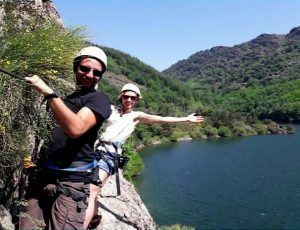 Other activities are also practicable as hiking, with the tour of the lake, specially designed for walking, via ferrata, its originality is to take place above the lake. 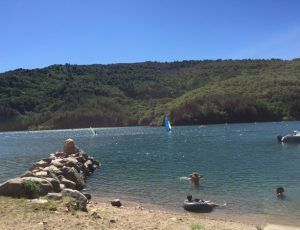 Lac de Villefort has been awarded the Blue Flag of Lozère since 2010. Ranked in first category, the lake is home to brown and rainbow trout, minnow and chub. Far from the overcrowded coast under the southern sun, it is a water and water playground very popular with our holidaymakers. Quality equipment is at your disposal to make you spend pleasant refreshing moments. The team of the nautical base is at your disposal every day from 9h to 18h in a good and casual atmosphere. At your leisure you can enjoy sailing lessons with a qualified instructor, or sail with friends, alone or with family on our various boats. 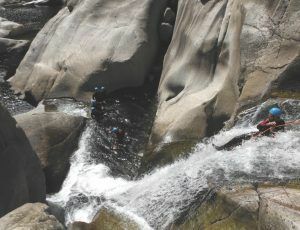 It is the culmination of the Cevennes, a massive granitic massif that gave its name to the department of Lozere. The majestic granite barrier of Mont Lozère contrasts with its “bald” summits and the softness of its reliefs. 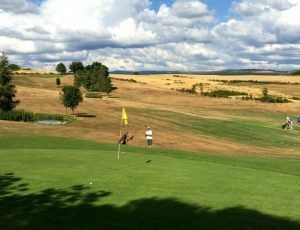 Nicknamed “mountain of the sources”, the pedestrian circuits, to be discovered during your holidays in Mont Lozère, reserve magnificent strolls. 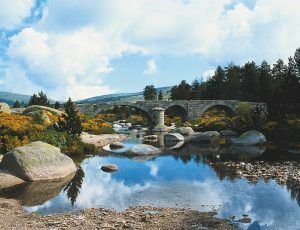 In the mountains of Mont Lozère, peaceful villages testify to the richness of the country and its history. Easy hike to discover the territory of the high plain of Mont Lozère where the Tarn flows. Departure and return to the Mas de la Barque vis the Roman bridge of the Tarn and Mas Camargue. Itinerary can be practiced by mountain bike, horse or carriage. 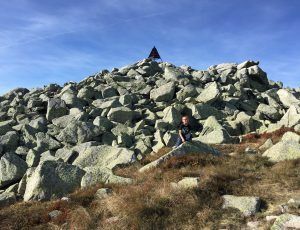 It is one of the very beautiful course, without difficulties, where you will have the opportunity to discover the second highest summit of the Cevennes and Mont Lozère. 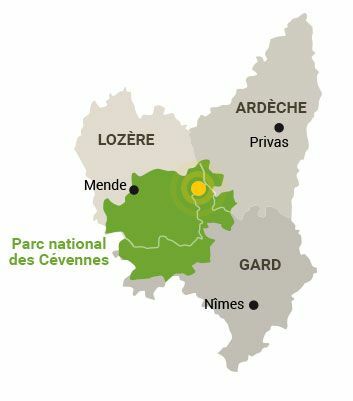 From there, the view of the entire Cevennes National Park, door to the coast and sometimes even to the Pyrenees. 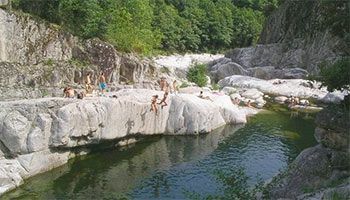 The river Chassezac has its source in Lozère at the foot of wooded slopes at 1503m above sea level, it extends from Ardèche scrubland to the foothills of Mount Lozère. 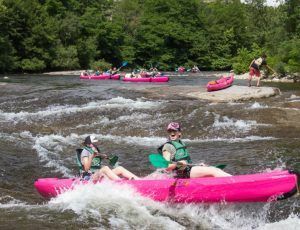 Beaches of sand and pebbles between deep valleys, gorges and canyons, they appeal to water sports enthusiasts (swimming, canoeing and canyoning), climbing or hiking. 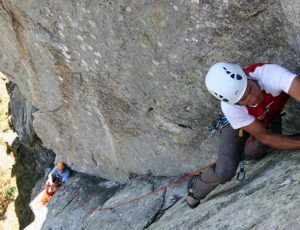 In a wild setting, the gorges of Haut Chassezac offer a wide variety of climbing routes with varying levels of difficulty, on excellent granite. The Guérin Guard dominates, from the top of its plateau, the impressive Chassezac canyon. La Garde-Guérin is today the second most visited site in Lozère, which is also one of the Most Beautiful Villages of France. A village rich of a historical past and inhabited all the year by about fifteen inhabitants. 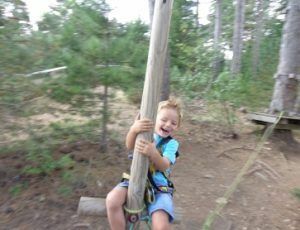 Accro du Lac: An acrobatic course in height arranged in a small pine forest at the end of the lake, which will allow you, with family or friends, to spend a great fun and sensational moment! 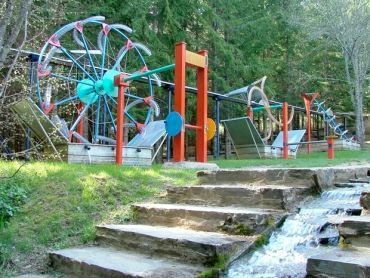 Accro Parc: Adventure park in the middle of the forest located at 1000 meters altitude, 10 minutes from Villefort. The paths between pines and chestnut trees, of all levels combined, comprise about 100 modules. 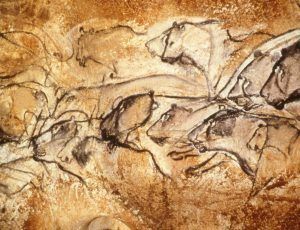 Come walk the caves of the nearby Ardèche foothills Cevennes. 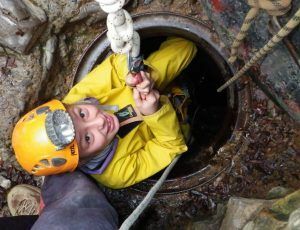 Dare this unforgettable adventure that will lead you to discover the underground world! Free visit of the Miellerie de Vielvic : every Friday morning from 10h to 12h in July / August. 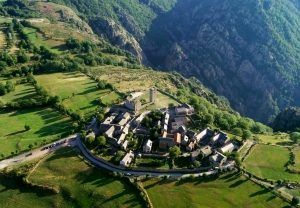 Villefort (4 Kms): every Thursday morning and in July and August, a night market every Monday. –Castle Castanet: On the banks of the Altier, this building is located in the commune of Pourcharesses, near Villefort, Lozère and dates from the sixteenth century. –The castle of Portes:Nicknamed the Cévennes ship due to its bow in spectacular and unique stone in Europe, the Portes Castle is classified historic monument. –The Tournel Castle: Before entering the castle’s eagle’s nest, we invite you to visit its ghost village. –The Château d’Aujac: Listed as a Historic Monument, this magnificent architectural ensemble is a rare example of conservation.